M.E.A.D. 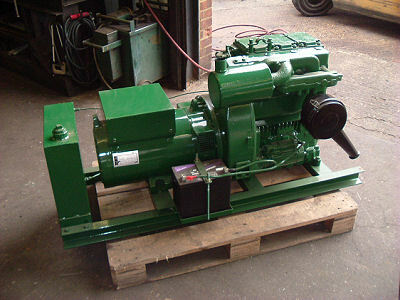 PLANT can supply reconditioned Lister Petter powered generators to our customers specifications from 5 to 65kVA. All engines are fully repaired and every generator is fitted with a new alternator. Exact engine models used is dependent upon both the customers requirements and engine availability. Below is an example of a 15kVA set we built for a customer in West Africa to a simple specification for ease of maintenance with electric start, and built in fuel tank. Please contact us with your requirements and we will build you a set to order.